In Malawi, women’s wombs are removed to stop infection, a life-changing operation that doesn’t always work. In a hospital room in Thyolo, a southern Malawian town nestled in tea plantations, Ngellina Chikopa unwraps her sarong to reveal a long wound filled with pus. The cut stretches from her lower abdomen through her belly button and up past her stomach. The 18-year-old gave birth by caesarean section in April 2018, but the baby died of asphyxia after becoming stuck and suffering brain damage from lack of oxygen. While she was grieving, the wound became infected. She was given IV antibiotics but the wound started to release foul-smelling pus. The infection spread to her uterus. Doctors gave her more antibiotics but they didn’t work. Next, medics performed a hysterectomy, an operation to remove her womb. But afterwards, she suffered another infection and was transferred to Queen Elizabeth Central, a big referral hospital in the city of Blantyre, where she had another two operations to clear the pus and close the wound. By removing her uterus, they have taken away the entire future clan away from us. She was discharged but is back at Thyolo hospital because her stomach is not healing. She shares a room with a young woman called Margaret, who also lost her baby to asphyxia. Chikopa fears she will be ostracised now she cannot have children. There is a stigma attached to being both unmarried and childless. She hopes to return to school when she recovers. 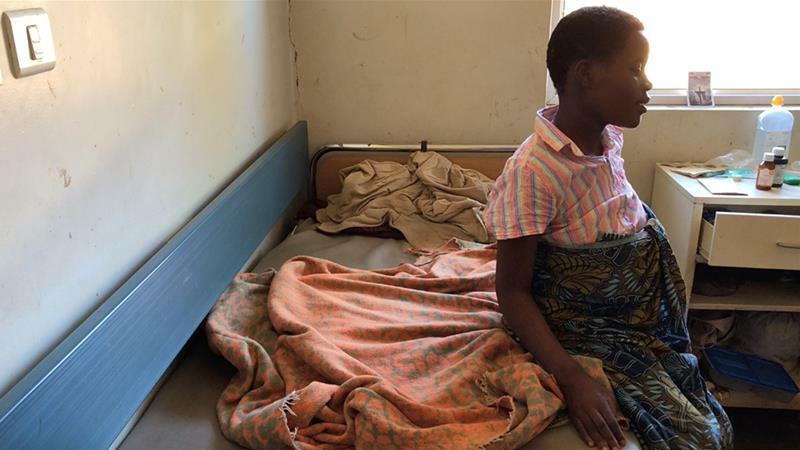 Scores of women in Malawi face having their wombs taken out because of infections. Dr Martha Makwero, acting head doctor of the maternity department at Queen Elizabeth Central Hospital, said 36 women had had hysterectomies due to infection between March and May this year. This entry was posted on Monday, October 8th, 2018 at 00:03	and is filed under Uncategorized. You can follow any responses to this entry through the RSS 2.0 feed. Both comments and pings are currently closed.